CalVantage is a breakthrough in calcium formulations. A Fivefold Matrix of plant food co-factors is included in this recipe, namely: Calcium, Nitrogen, Sulfur, and Boron. When these ingredients are used synergistically as they are in CalVantage, plant nutrition is addressed as it was meant to be. Unlike singular calcium products, chelated or not, CalVantage provides ingredients that are associated with the uptake of plant foods. Calcium can not be taken into turf plants through the leaves but instead need to be worked through the soil. One key to making calcium available to the plant in the soil is boron which is plentiful in CalVantage. There are very few soils found in the turf industry that will not benefit from the increased calcium mobility that a rich product like CalVantage can provide. Manufacturing of the liquids involves first the availability of excellent water. We begin by softening the water, followed by deionization and finally reverse osmosis. The result is water that is absent of total dissolved solids, alkalinity, carbonates and conductivity. This allows for an aqueous medium that can be fully saturated with the diversity of ingredients that go into the CalVantage formula. EarthWorks Foliar+ products are highly engineered and complex formulas. 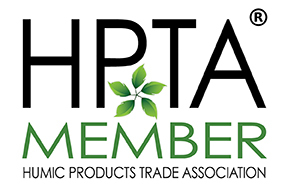 They are developed to work synergistically with each other and with other nutrient based products. 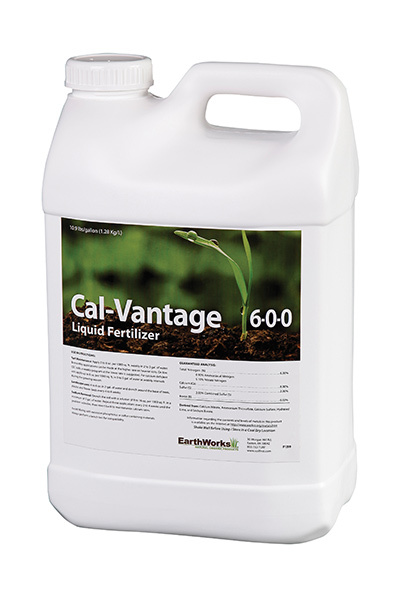 Used on a “small but frequent” basis, CalVantage will become a staple in any turf management program.